ADDIT3D returns for the third year and with an extended exhibiting space to show the most advanced solutions in the field of 3D Technologies. 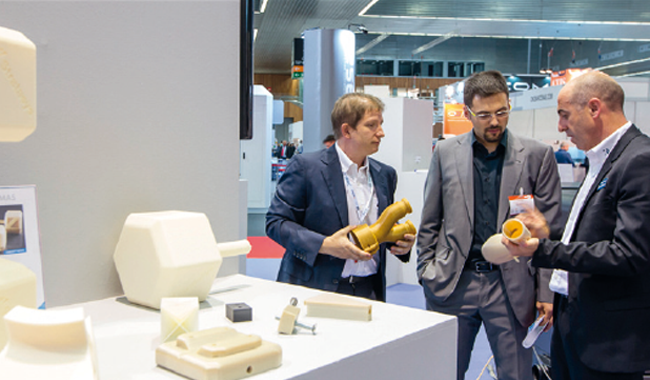 Equipment and machinery for Additive Manufacturing (AM) of final parts will be one of the main attractions this year, as well as presenting very interesting novelties in new industrial application developments. The 3rd International Additive and 3D Manufacturing Exhibition will showcase solutions in other fields such as systems, research, services, software, raw materials and scanning. This call is framed in a favourable environment for the sale of additive manufacturing equipment and for supplying companies. According to the latest annual report, the global additive manufacturing industry grew 21% in 2017. Furthermore, ADDIT3D will also feature a conference programme, Additive Talks, on 31st May and 1 June, covering a comprehensive range of issues from general ones on “The sustainable integration of additive manufacturing in companies”, very technical topics such as “New technologies and materials for additive manufacturing” or “Technology: simulation, process and post-processing”; to “Industrial case studies” offered by companies such as Airbus Defence & Space, Aciturri or Seat, among others. ADDIT3D is organised by ADDIMAT, the Spanish Association for Additive and 3D Manufacturing Technologies, and Bilbao Exhibition Centre.